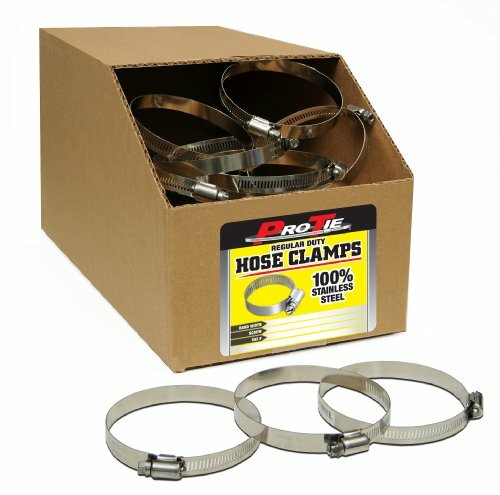 Pro Tie Bulk Regular Duty Hose Clamps are 100% stainless steel hose clamps in a larger cut-open retail ready box. All hose clamps have UPC's for individual sale. Range Low: 6-1/16" to Range High: 7"
If you have any questions about this product by Pro Tie, contact us by completing and submitting the form below. If you are looking for a specif part number, please include it with your message.